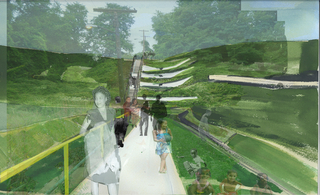 See more objects with the tag transportation, education, community, public space, learn, adapt. This is a Project. It is dated 1999–ongoing. The city of Caracas is situated in a valley, and its informal settlements ring the steep mountain slopes surrounding the central city. 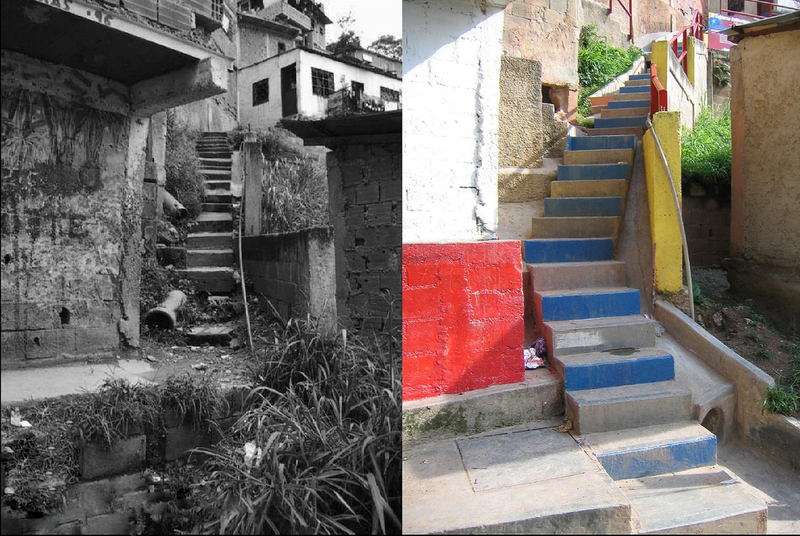 Working with a community in La Vega, a team assessed the settlement’s conditions, and architects Proyectos Arqui5 concluded that the vertical topography (with steep slopes higher than 50% or 2:1 run-to-rise) limited accessibility. 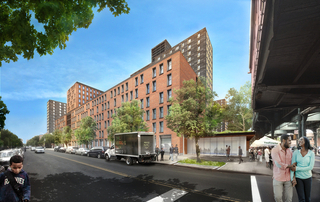 Based on community-established priorities, the team devised the Integral Urban Project. A main road was designed around the top hills with a secondary road connecting smaller streets for better transportation and circulation. A network of stairs connects neighbors, with public landings serving as new spaces for social interaction.